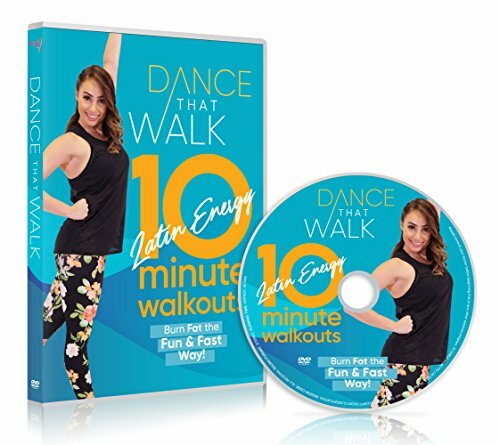 Feel the Latin Energy with music and moves that will burn calories and tone your body in Dance That Walk - 10 Minute Walkouts. With walking as a base, alternating with 4 easy dance moves, each of our WALKOUTS will keep your heart pumping, make time fly and most importantly, burn fat the fun and fast way! High energy but low impact, do 1 for a quick workout or do them all for a 50 minute calorie blasting session! Suitable for all ages, shapes, sizes and fitness levels. And as you always keep one foot on the floor, our workouts are low impact and easy on your joints. Ideal for active older adults, you will be walking and dancing your way to a fitter, more fabulous you. Start boosting your daily step count and try our DVD today!